Harrogate Deanery arrange Days of Renewal on the second Saturday of each month at St. Aelred's Church, Woodlands Drive, Harrogate HG2 7BE, normally from 11.30am to 4pm. Praise, small group discussion, a talk and healing ministry. Please note that there will bo NO DEANERY DAAY in May 2019. The next will be on Saturday 8th June. More details will follow later. All welcome. The day begins with a time of praise, followed by a shared meal (please bring a small contribution), followed by a talk, possibly small sharing groups and a time for prayer for healing. For further information see the notice board at St Aelred's church, or ring Dolores Omand 01423 870789. Click here to find St Aelred's church. Meet every Sunday from 5pm until 7pm, at Holy Rosary Church, Chapeltown Road, Leeds LS7 4BZ (at the corner of Louis Street). Bus routes 2, 3, 3A and 36 pass nearby. Contact Jones Bediako for more details on 07983 776337. Click here to find Holy Rosary Church. A Northern Regional Gathering will be held on Saturday 11th May 2019 at Holy Rosary Church, Chapeltown Road, Leeds from 11am until 3pm. The theme is "Go with greater strength". Praise and worship will be led by Cody Kettner and Expedition. More details, later, but save the date in your diaries. 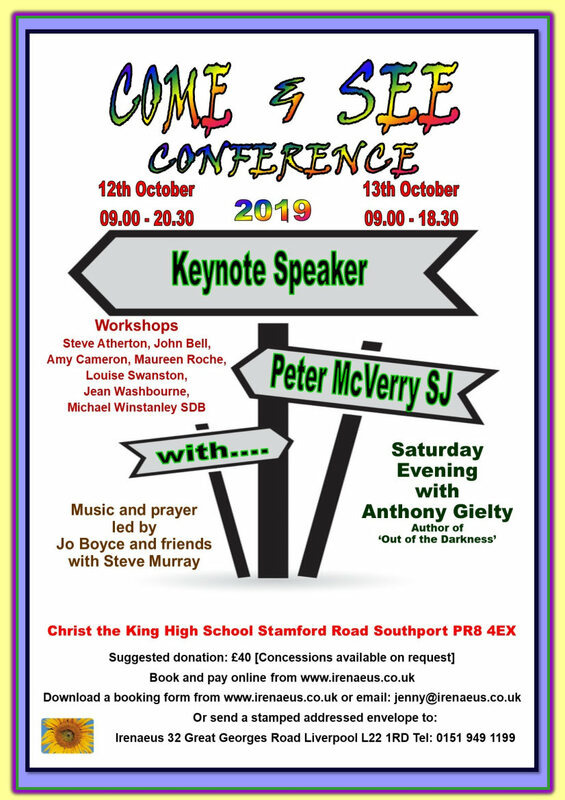 The Irenaeus Project will be holding their annual Come & See Conference this year on 12th and 13th October in Southport, as usual. CLICK HERE for a poster with more details. If you would like your parish to host an Afternoon of Renewal - and your Parish Priest agrees! - please contact one of the Service Team. No seminars are currently scheduled in Leeds. 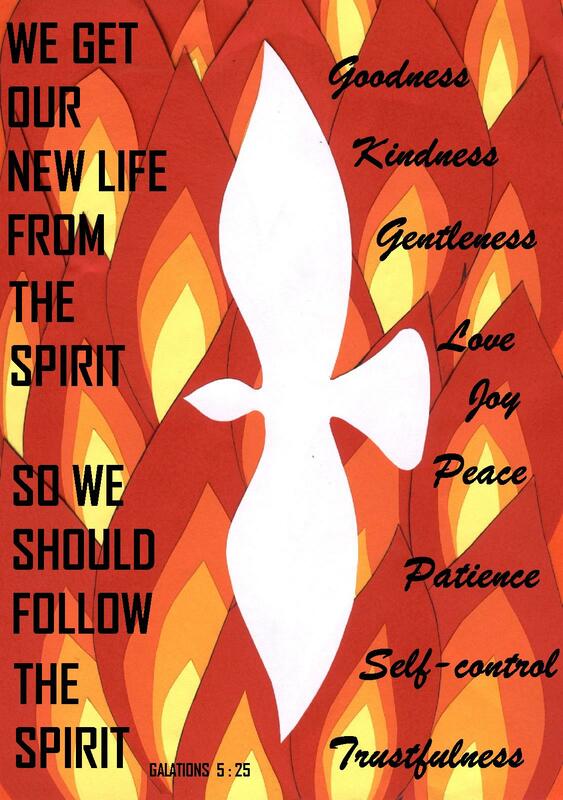 However, if you would like a Life in the Spirit Seminar in your parish, please contact one of the Service Team.